Taking care of your Toyota is about more than just filling up the gas tank, keeping it reasonably clean, and bringing it in for regular maintenance. Gaining a bit of knowledge about the interior and mechanical components of your vehicle can make a big difference as it will let you better understand the information your mechanic gives you and why regular maintenance is so important. Your Toyota has a few different belts, and learning about them is a good place to start. The accessory belt in your Toyota will drive the air conditioning compressor and alternator as well as the water pump and power steering sometimes. This belt will be mounted externally, allowing you to see it on the front end of your engine. It is serpentine in nature, wrapping around various pulleys. You should have the accessory belt replaced if it shows stretching, fraying, or cracks. 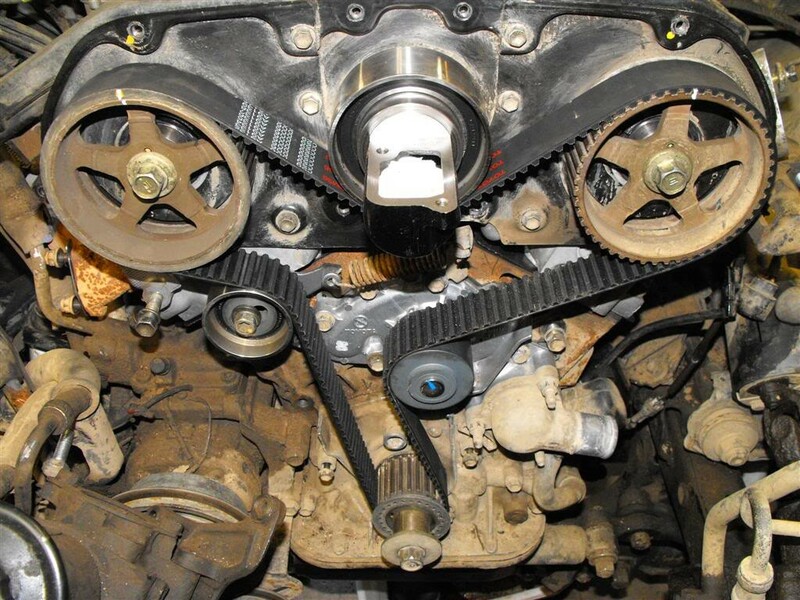 Depending on your engine, it may also have a timing belt, which is not within view; it is responsible for connecting the cylinder head at the top of the engine to the crankshaft along the bottom. This belt controls when valves open or close, but your engine may use a timing chain instead of a belt. Timing belts will require replacement, but not for a long time. Your Toyota will stop soon after either belt breaks. If the timing belt is to blame, your engine will not restart. In the case of the accessory belt, you may be able to restart the engine and drive a little bit but probably won’t get far. You will want to have the accessory belt inspected regularly by your mechanic, and they are relatively affordable to replace. Replacing the timing belt will cost more and take more time, costing over $1,000 at times with higher prices if other components have been damaged by the belt breaking. Whether you would like to learn more about the various belts in your Toyota or are ready to have them looked at by an expert, the team in the service center at Thomasville Toyota in Thomasville, Georgia, can help you.